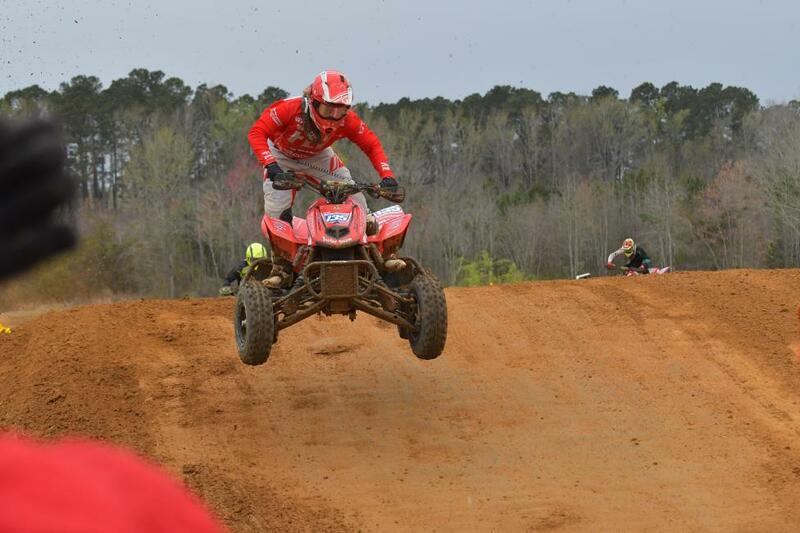 Rockford Fosgate/TiLube/Honda’s amateur racers Haedyn Mickelson and Grayson Eller scored podiums during round two of the AMA ATV Motocross National Championship at South of the Border MX in Hamer, SC. Teammate Noah Mickelson was injured in a crash during the Pro Sport race and sat out the weekend. The events were held at a new venue for the series. Designed primarily for dirt bikes, the tight nature of the circuit made passing difficult. Saturday was overcast with drizzle, but a downpour overnight made the early motos on Sunday muddy and slick. Eller continued his breakout season in 450 A, finishing 3-2 in the motos for a second-place overall finish. 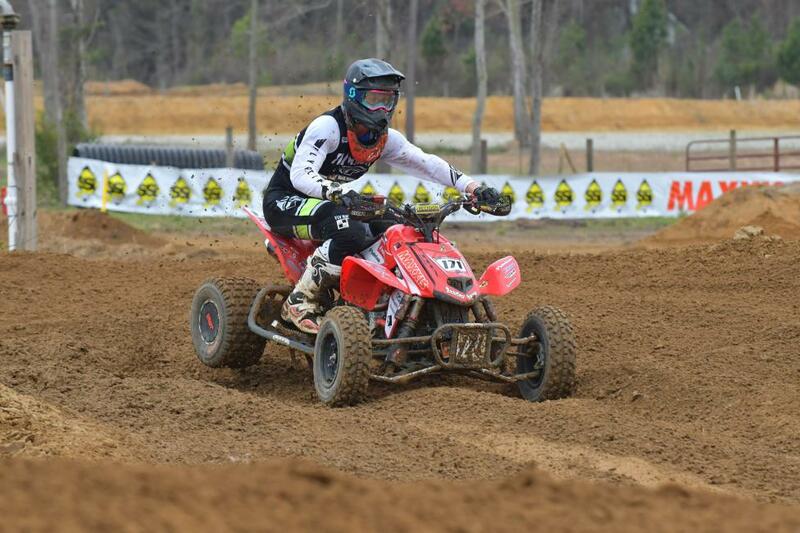 The combination of Elka shocks and Maxxis Tires gave him a leg up on the competition. His continued consistency in the class places him second in points. “The track was super tight and it was hard to pass,” said Eller. Eller made the jump to Pro Sport this season. He continues to grow in the class and is quickly gaining speed. He scored a 10-8 for a ninth-place overall finish. Haedyn Mickelson is contesting his first year in Pro this season and he scored a top 10 on the merit of 10-11 moto finishes. The ninth-place overall is a huge accomplishment this early in the season. Mickelson had to contend with changing conditions for the two Pro-Am motos. The morning moto was run in muddy conditions, and the track dried out for the second moto. Mickelson took it in stride, finishing 4-4 for an overall third-place finish. The entire Rockford Fosgate/TiLube/Honda amateur team will be ready for the next round of ATV Motocross competition being held at Underground MX in Kemp, TX. That race is scheduled for April 14-15.